Unique Gel-capsule Application provides 100% effective Year-Round Protection from Wildlife Damage! 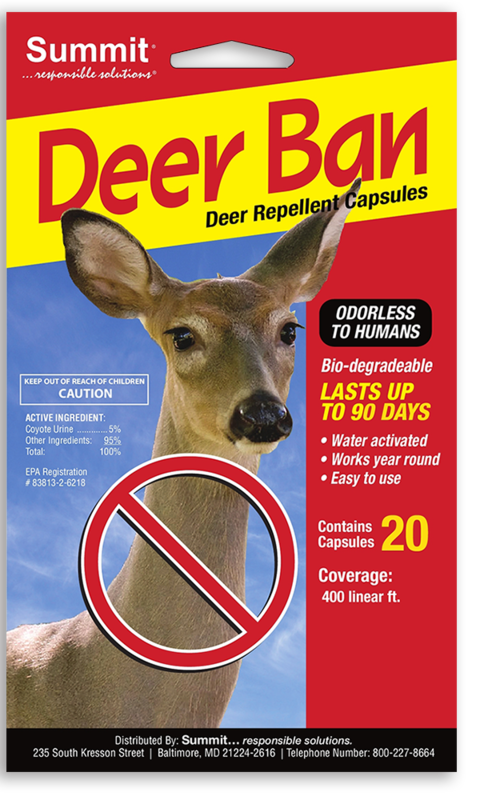 Easy Application, drop capsules in and around the coverage area or place in planters. Add water to instantly activate repellent. Perfect for your Gardens and Ornamentals. Other repellents contain rotten eggs, garlic, or similar foul smelling substances. If you have ever applied these products, you are well aware that they are likely to repel you and your family, more than wildlife! 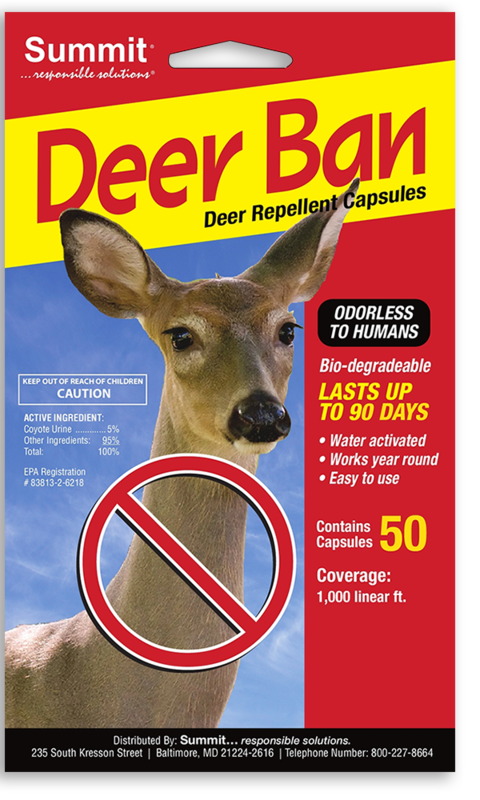 Deer BanTM is oderless to humans, but animals, with their extreme sense of smell are easily affected. 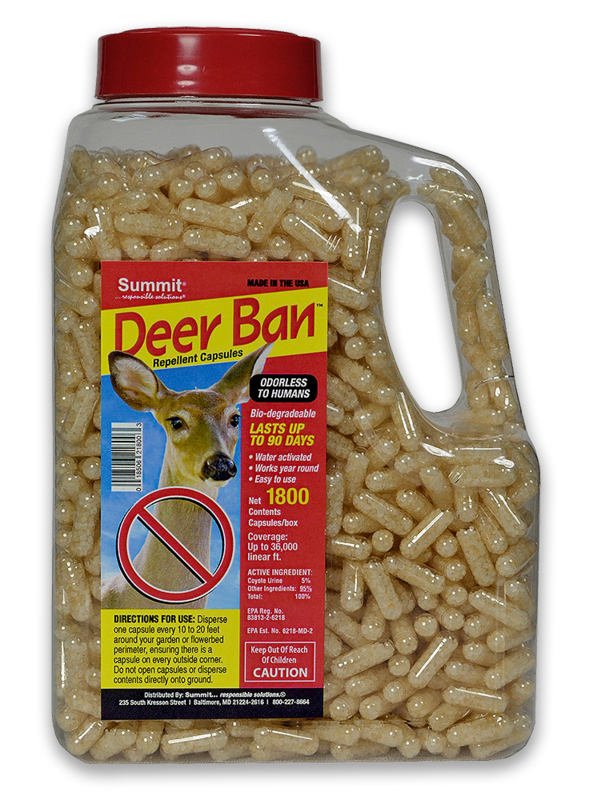 Copyright Deer Ban. All Rights Reserved.